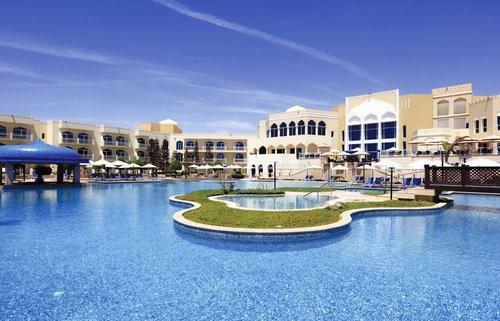 (MENAFN - Muscat Daily) Muscat- After Dhofar Tourism Company announced earlier this week that its Mirbat Marriott Resort will no longer be managed by Marriott International, it has been revealed now that it is renamed Kairaba Mirbat Resort, managed by Meeting Point (MP) Hotels. With this, MP Hotels has officially entered the Oman hotel market with the 237-room Kairaba Mirbat Resort. The hotel is its first property in the sultanate as well as the first to be launched under the brand of Kairaba Hotels and Resorts which was launched earlier this year by MP Hotels. 'With Kairaba Mirbat Resort, we are opening a new chapter for our company,' said Roula Jouny, CEO of MP Hotels and chairperson of MP International. In 2011, MP International, the holding-company of all Meeting Point destination management companies (DMC), entered the sultanate with Meeting Point Oman. The FTI Group, parent company of both MP International and MP Hotels, has also been a significant provider of tour charters from Europe to Salalah. With the introduction of this new hotel, MP International is strengthening its position in the sultanate. 'The opening of Kairaba Mirbat Resort is a definite plus for our DMC business,' said Jouny. The company said that the hotel opened for business on October 1. 'We have come to Oman with the aim of capturing some of its growing high-end tourism market,' said Jouny.